Welcome to the Hug Hotseat! 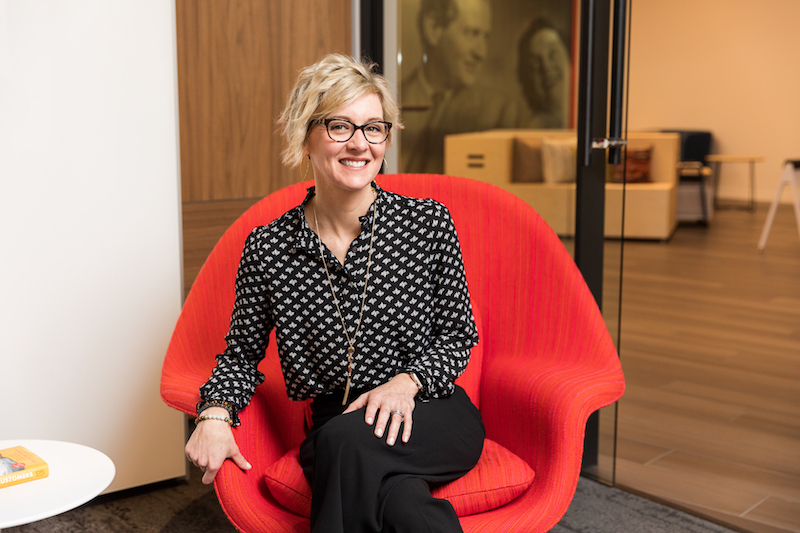 This month’s Q&A features Tarra Aufderheide, President of RJE’s newest market – Columbus, OH! Read more about our move to the Arch City here. 1. In your opinion, what is the best day of the year? I love the first day of the year when it actually feels like Spring. There is something so exciting about the energy outside, being able to open the windows and start fresh again! 2. What do you love most about living in Columbus? I love Columbus because it really is an exciting melting pot of individuals from all different parts of the country. We’re all working to create a vibrant city that is full of great energy and opportunities. I like to mix a little fun reading with personal development, so I am currently reading two books – “Crazy Rich Asians” by Kevin Kwan and “The Storyteller’s Secret – From TED Speakers to Business Legends, Why Some Ideas Catch On and Others Don’t” by Carmine Gallo. 4. If you could give a million dollars to any organization, which would you give it to? The very first job that I had out of college inspired my love for taking care of “our” children and finding ways to cure and heal them. I have an admiration for those that work in the healthcare field and would donate my million dollars to Nationwide Children’s Research Institute to support continued research to heal and treat our children. 5. What are you most looking forward to this month? The month of March is very exciting for me as I embark upon my new role as the President of RJE Columbus! I am proud to move into this role and can’t wait to share the RJE story in the city that I love. 6. If you could immediately teleport to any place in the world for a two-week vacation, where would you go? As long as my husband and children are with me and the view includes crystal blue water and white sandy beaches…I am not picky! 7. What gets you excited to come to work at RJE every morning? In my role, the excitement comes everyday! We are working hard to build a dynamic team and grow the RJE brand and business in Columbus!